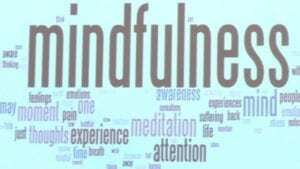 As part of our KidsMatter initiative, we focus on Mindfulness and Wellbeing where our students and staff are concerned. We believe it is imperative for our students to “feel calm” and happy in order to want to learn and be engaged in learning. Each class participates in a mindfulness calming activity after lunch time in order to calm our students and “bring them down” from their sometimes energetic lunch breaks. Our Junior Classes use Smiling Minds, which is a simple tool that gives our students a sense of calm, clarity and contentment, while our senior students spend some quiet time reading or talking quietly, in order to prepare them for their afternoon lessons.